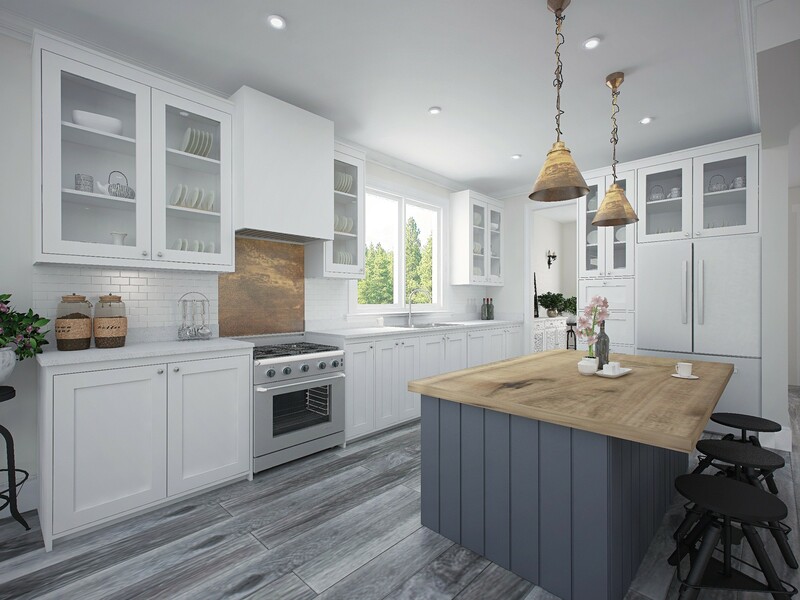 Mark Stewart Home Design is on the leading edge of the recent surge in Modern Farmhouse Style House Plans, and this two story farmhouse is part of a brand new collection of these designs. 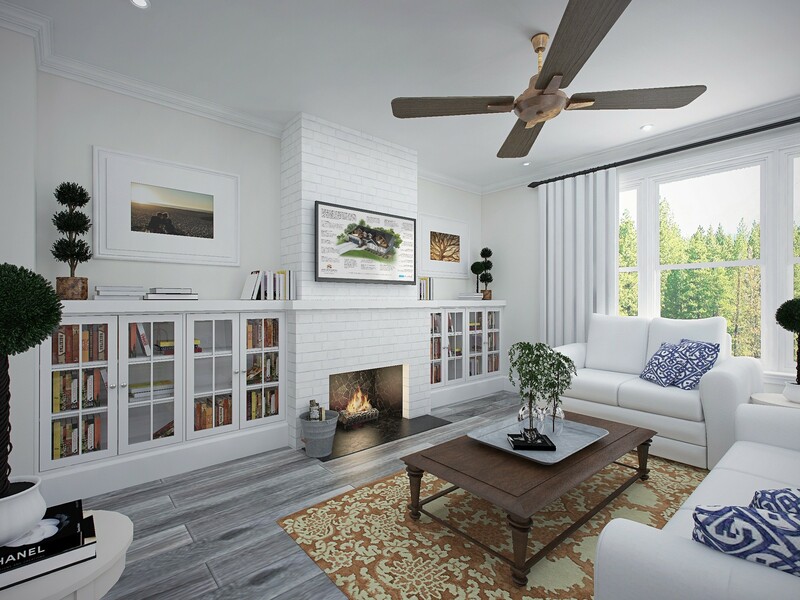 This style is marked by rustic materials, comfortable and functional floor plans, and traditional exteriors and roof lines. 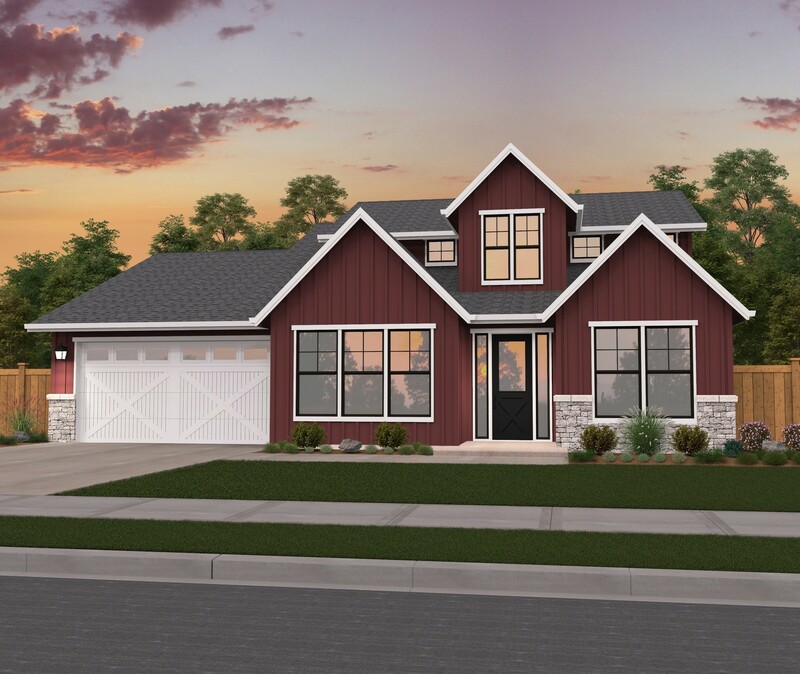 Enter this home and find yourself in a vaulted foyer, flanked on each side by the den and a comfortable dining room. Past the staircase you’ll see the spacious kitchen (complete with large island), and the great room which features a cozy fireplace. 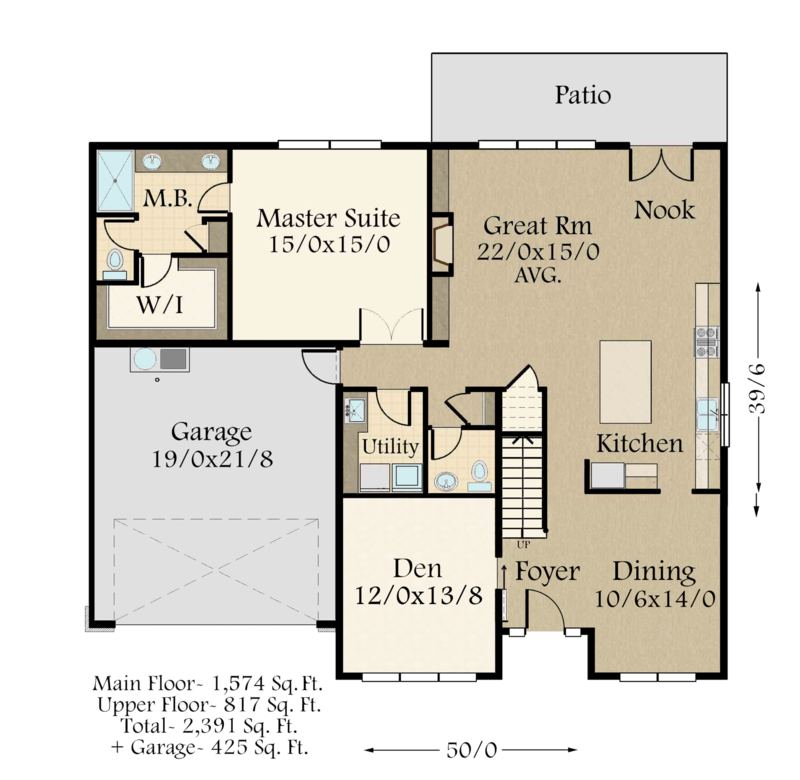 To the left of the great room lies the master suite, where you’ll find his and hers sinks, a large walk-in closet, and a private toilet. 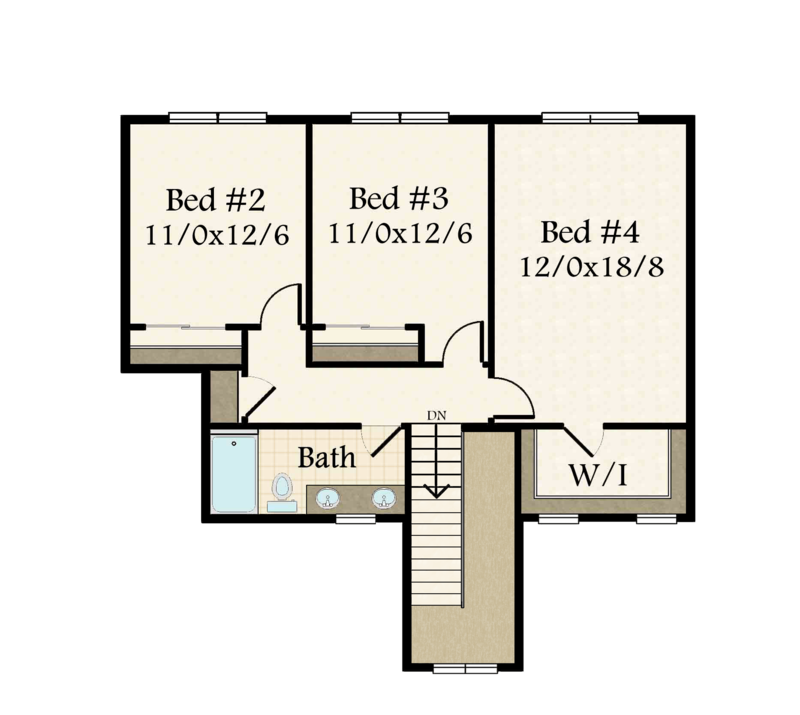 Upstairs are the three additional bedrooms, and the final bathroom, which also includes side by side sinks. 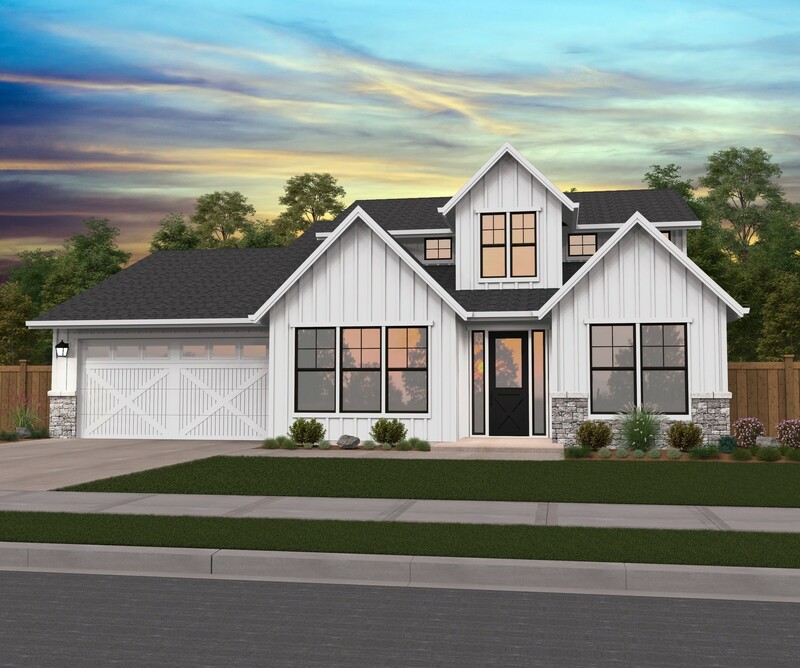 The modern farmhouse is here to stay and we are thrilled to present you this house plan from our growing collection.